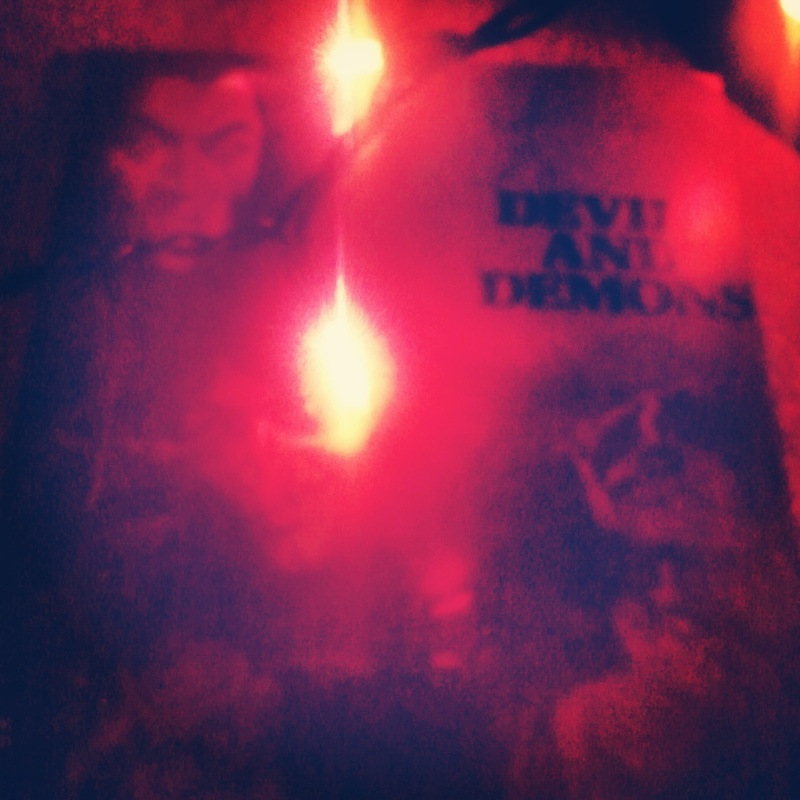 Devils and Demons by Eric Maple. On the fourth page of Eric Maple’s Devils and Demons, a children’s book about diabolical evil, the author demonstrates how to sell your soul to the devil. 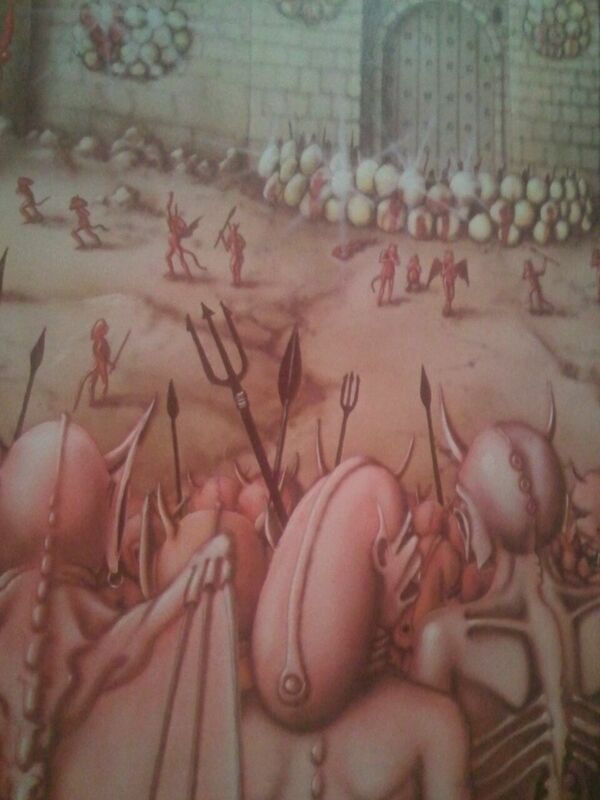 Artwork from Devils and Demons. All images copyright their respective owners. 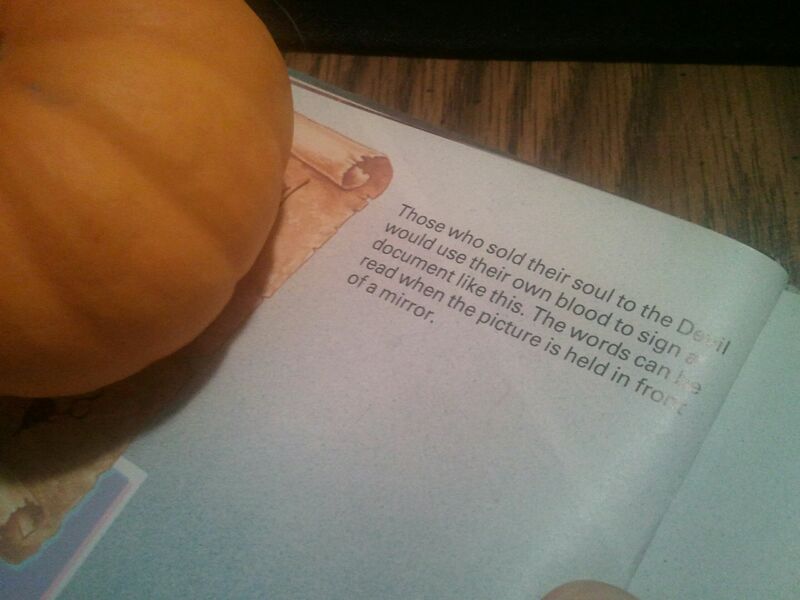 Granted, the book didn’t offer a step-by-step tutorial on damnation. It did, however, say people who wanted to sell their souls “would use their own blood to sign a document like this.” The words were written backwards to either protect the innocent or add magical oomph. Either way, it didn’t take much effort to read the infernal writing. I encountered this book in elementary school. It’s a little weird that a book tempted me with unholy power gained at a terrible price when I still hadn’t learned long division. In fact, at the time I encountered this book, I’m pretty sure I had forgotten how to tie my shoes due to a rabid Velcro shoe fad. What if I accidentally made a pact with Satan for something stupid, like getting picked first for kickball or getting an extra cinnamon roll on chili day? What if another kid saw me reading the book and then HE made a pact with the devil? I didn’t need to have that on my conscience forever. 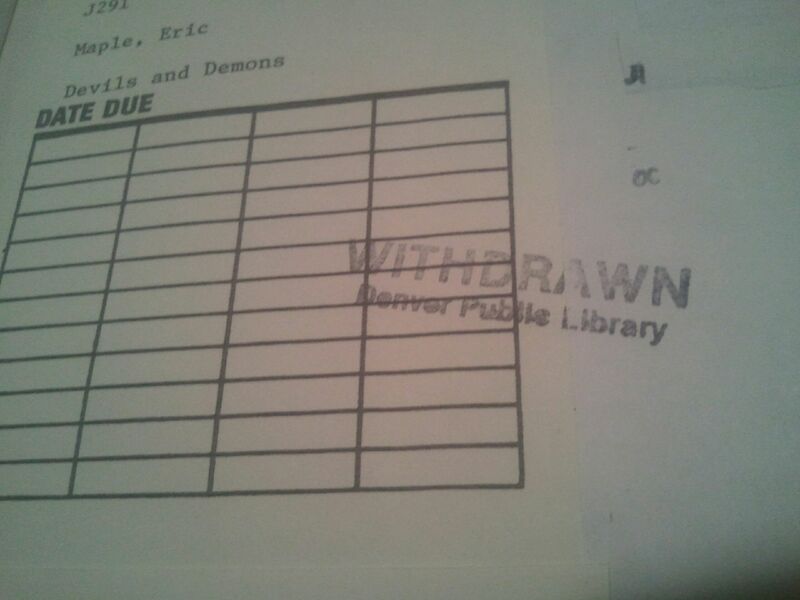 I bought the book years later, at the same library sale where I bought The Blob. And what was the first thing I did? Yup. Turned to page four. As you already guessed, the book had no detailed guide to using black magic to conjure Lucifer. It had some spooky words in a tiny little graphic. The most awful secret I knew as a child was a weakly executed scare tactic. Still, it’s nothing I’d share with a kid. What kid wants to believe they have the power to destroy their entire life when they’re just starting to live it? I’m not going to share those. It’s more fun if you have to imagine it, like I did for all of those years.